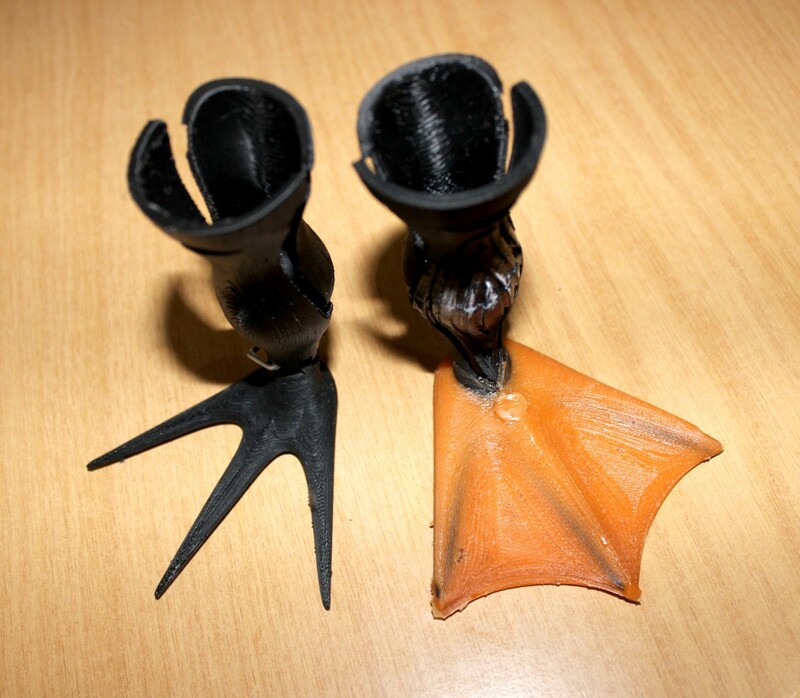 The Leg and mould for the foot was printed in ABS plastic by J-Lee Inc. using material sponsored by 3D Printing Systems and then the rubbery silicone material was mixed, coloured and cast into the mould over the skeleton foot. When it set we could take it out and cut away all the excess material and it almost looked like the real thing. When compared, the bare foot and the silicone covered foot looks very different, the new foot will allow more movement and flex and he will no longer slip on smooth surfaces, we are also hoping it will help more with his swimming. 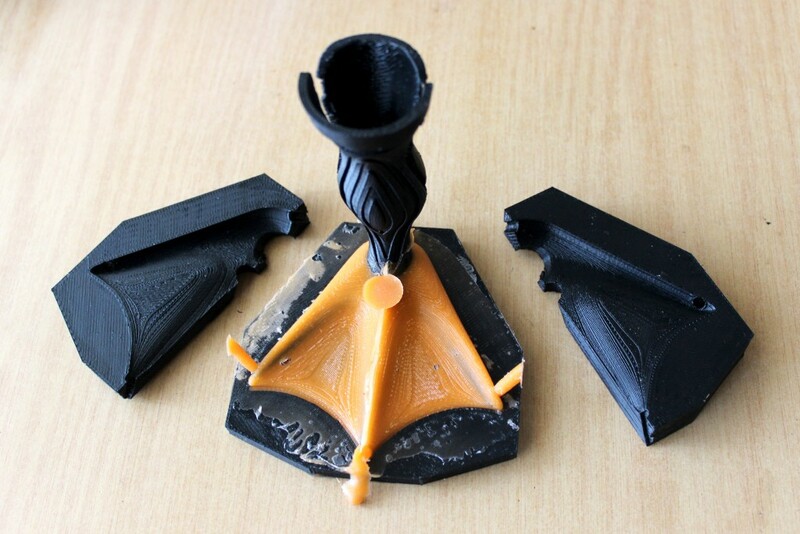 We also tested a hinged ankle that proved to be very successful and will be more prominent in the next upgrade! 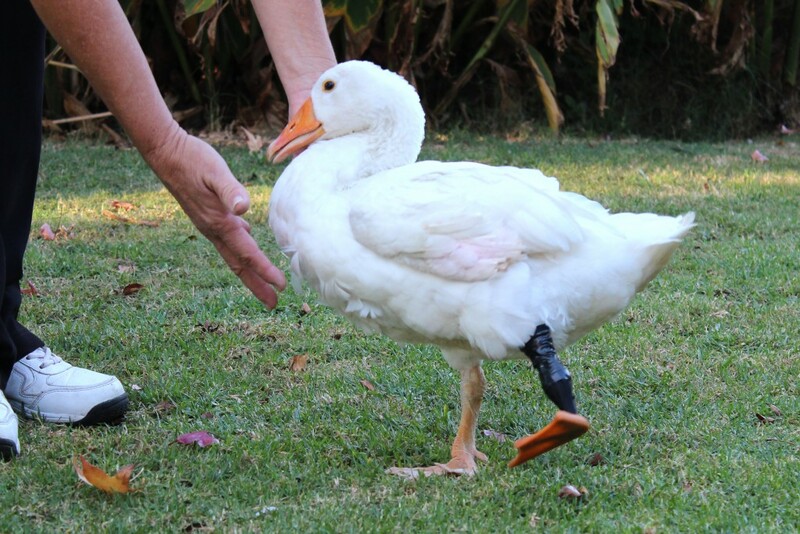 We need to allow Ozzie some time to walk and get used to his new leg and if everything goes well and he is happy we can start with the final version which will be 3D printed in a high end material called Polyamide by the CRPM in Bloemfontein. 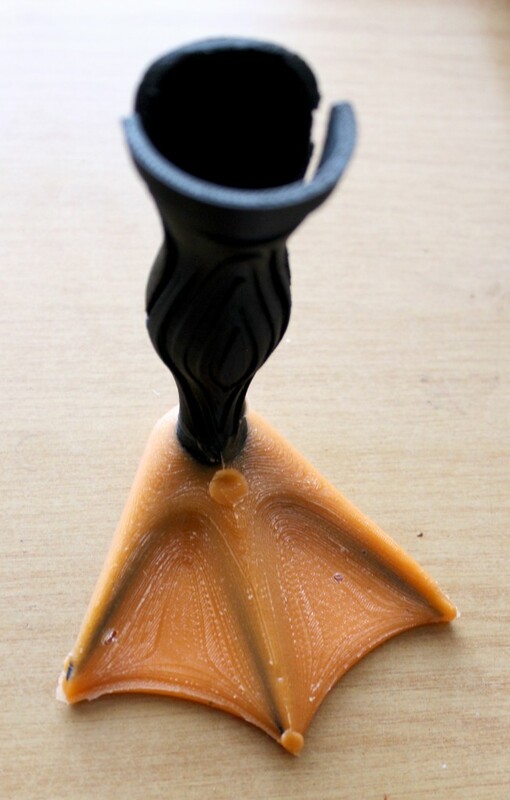 We will then cast the silicone components to complete it and fit it, keep an eye out for more information!